We believe that computers are a necessity in today’s world. A working computer is essential to help access important information, conduct job searches, fill out healthcare paperwork, help integrate into their new communities, to stay connected to friends and family around the world, and so much more. PCs for Refugees is a nonprofit 501(C)(3) organization run by a small group of all volunteers, aiming to provide every refugee family here in Arizona with easy access to a PC at home. We are trying to provide the perfect technological platform suitable for delivering education and the tools needed to thrive in today’s digital age. We strongly believe that lack of a computer or internet access can play a major limitation. 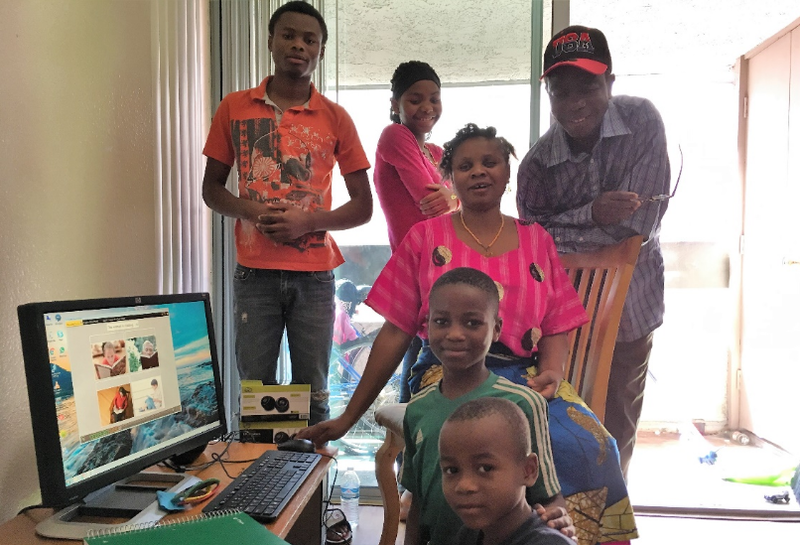 In the past two years, our all-volunteer team has been able to provide over 500 refugee families in the Phoenix area with a free preloaded computer at home, this translates to over 3,000 individuals who now have easy access to a computer in their own home. Help us provide our new neighbors the much needed tools to get them back on their feet. Each PC comes packed with a plethora of Educational games suitable for children and young adults. Make learning fun with arithmetic games, typing games, or learn the water cycle, basic electricity, or even how to program. Each computer also includes a variety of powerful open source software, including graphic editors, physics simulators, chemistry software, computer aided drawings (CAD), a full office suite, and much much more. Linux provides the ideal security and protection making even the most common viruses and malware obsolete. Additional browser extensions also ensure users have a safe and secure internet connection. In 2011, the United Nations declared Internet a Human Right. 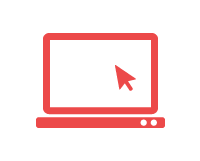 Enabling users to seek, receive, and impart information. Another important aspect of any computer is internet access. Help us get these families connected through subsidized Internet Programs. These PC’s come loaded with educational programs like gbrainy, a platform to train memory, arithmetical & logical capabilities. 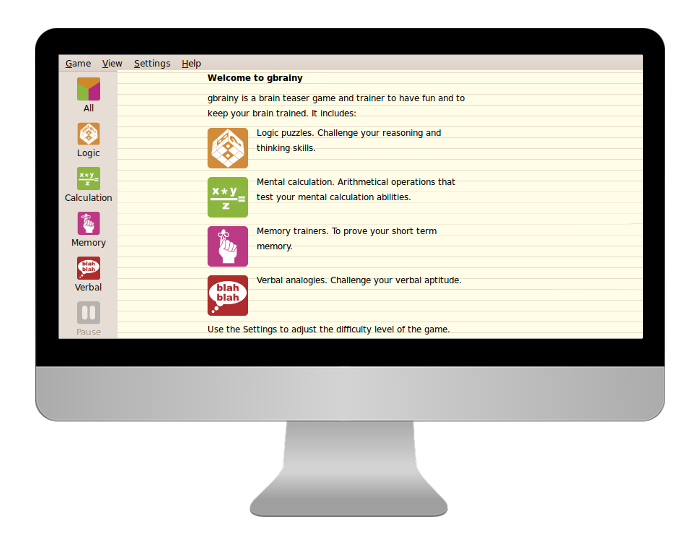 Also included are login puzzles designed to challenge your reasoning and thinking skills, as well as mental calculation and memory trainer applications. 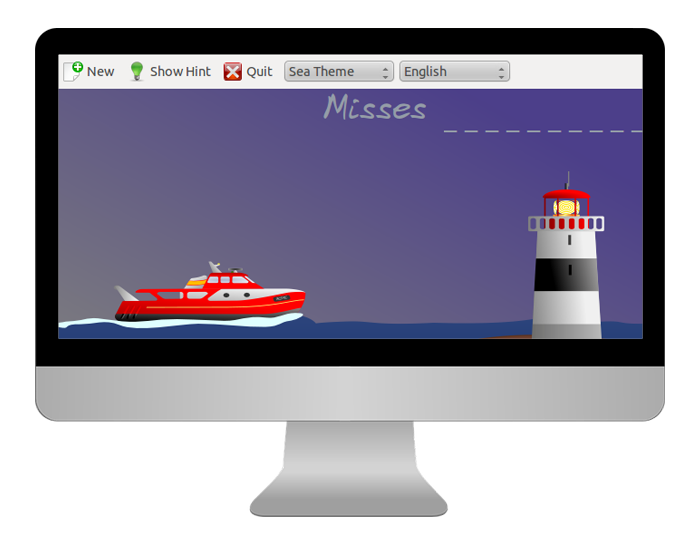 GComrpis is a high quality educational software suite comprising of numerous activities for children aged 2 to 10. Activities are game oriented, but nontheless still very educational. This powerful suite includes basic computer discovery games to help familiarize the user with the keyboard, mouse, to arithmetic and science games such as learning about the water cycle, basic electricity, and much more. The KDE Education suite includes edutainment software for kids aged 3 to 18. This suite helps to improve language skills with letters, anagrams, and hangman games, in addition to helping to improve mathematical skills with fractions, geometry, and algebra software. Also included are geography games, turtle programming, a typing tutor, memory exercises, and more! Each computer ships with the popular Tux4Kids suite. 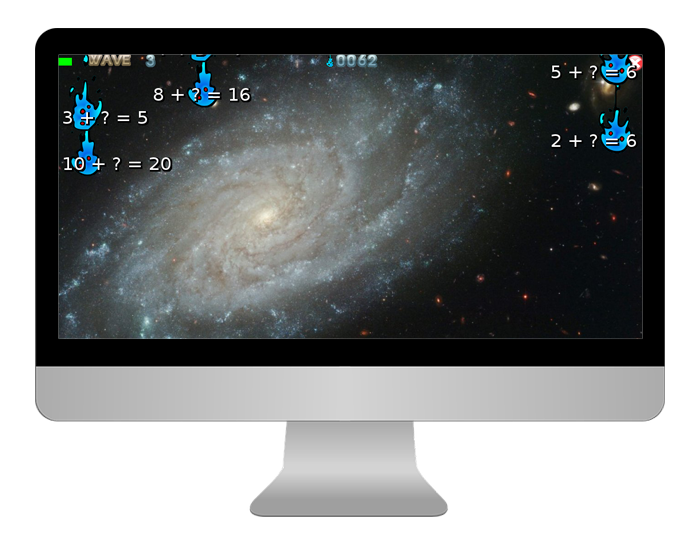 Defend your cities in TuxMath Command, an arcade game that improves arithmetic skills. Learn Basic computer skills and unleash your creativity with TuxPaint. Learn where all the buttons on your keyboard are using TuxType. 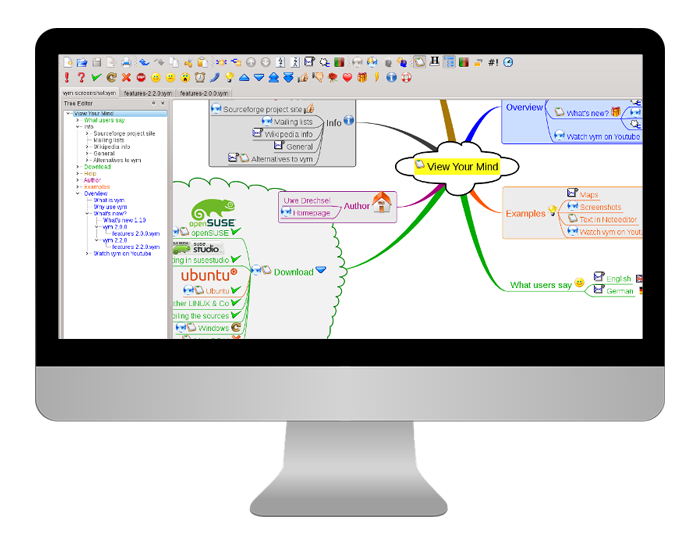 Each computer comes with powerful mindmapping tools, like Vym. Summarize and organize plenty of information. Make subsections stand out with cloud bubbles, and custom colors. 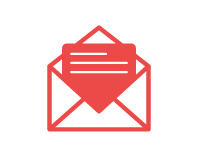 Organize your goals, future plans, events, and more. 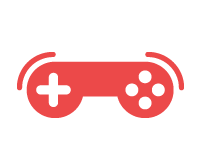 Learn to program and code using interactive and fun programming games for beginners with Laby. 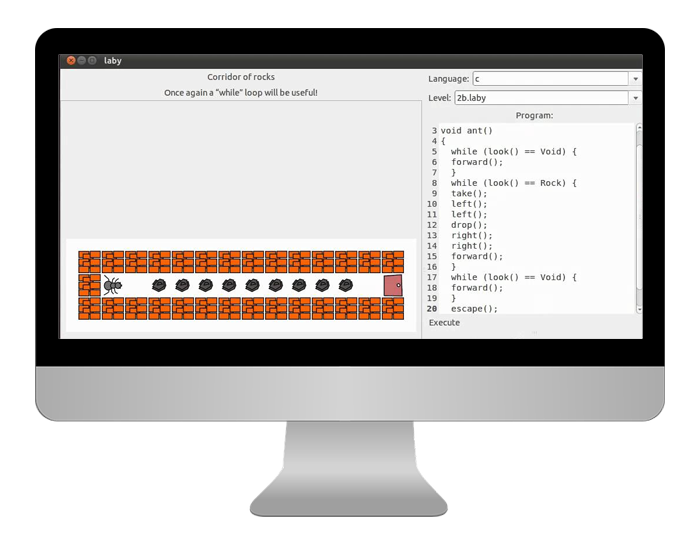 Laby is a fun programming game teaching children how to program with ants and spider webs. Using Laby can give you the basic fundamentals required to get started with programming, learning languages such as C, Java, and Python. 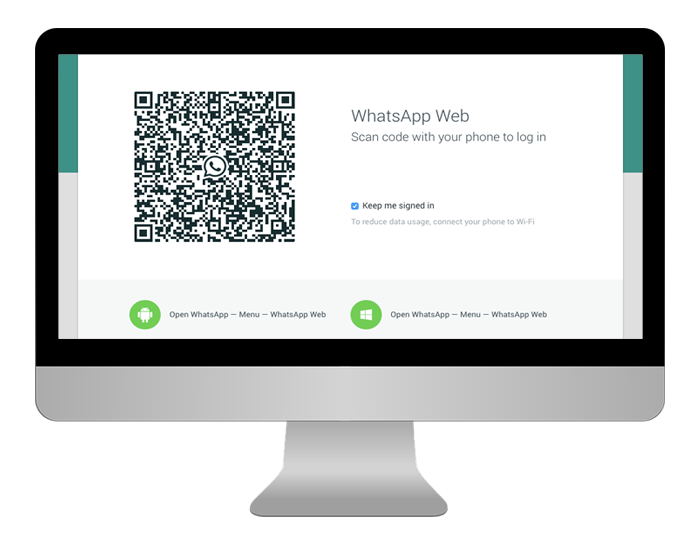 Connect with the world using with a full communication suite, including Skype, WhatsApp, Facebook Messages, Twitter, Windows Live and more. Learning can be fun, with a large collection of educational games, from math, typing tutors, science, and programming games perfect for anyone ages 3 to 18. Ubuntu Software Center and Windows 10 Store provide a great deal of additional software for any users personalized needs, such as financial trackers, invoice creators, and much more. Each family receives training on how to take advantage of their new PCs. Also included is a private online support group for questions, weekly tips, tutorials, and additional resources. In order to make an impact we need your help. Help us provide your no longer needed computer parts, desktops or older laptops, even if they don’t run or turn on, we can transform them into extremely powerful and useful tools that will help these refugees get back on their feet. PCs for Refugees is run by a small team of hardworking and dedicated volunteers aimed at serving our refugee community and empower them through technology. If you have computer repair experience and think you can help, please contact us regarding joining our team today.